We all have to make some tough decisions when making larger SharePoint environments. One of the toughest is which SharePoint services shall be running on which server. We would like our servers to be busy at same levels, but it is difficult to find the correct formula most of the times. Microsoft has been running SharePoint on online servers for a few years so far and with currently over 20,000 databases over 19 databases across the world, its unlikely there is anyone better who knows which services work well together other than Microsoft. MinRoles are predefined types of server roles that that will maximize the optimization of SharePoint workloads across the servers. The good thing about MinRoles is that you can select it at the point of installation and change at some scenarios even sometime after the provisioning. As it is the SharePoint Server 2016 Beta 2 which is the latest release available, there are six predefined MinRoles. This is an issue being discussed all over the internet and many articles suggest the number 1 fix for this as checking the existence of the user profile service and the user profile synchronization service as started. Also that is the best place to start looking into. In our case it was different. This was working well a few days ago and suddenly goes off without any notice. Now this is strange. The situation can be briefly summed up as this. Our domain controller is located in a separate network which is connected to this environment through a VPN. Workflow starts and display the following message in the status. 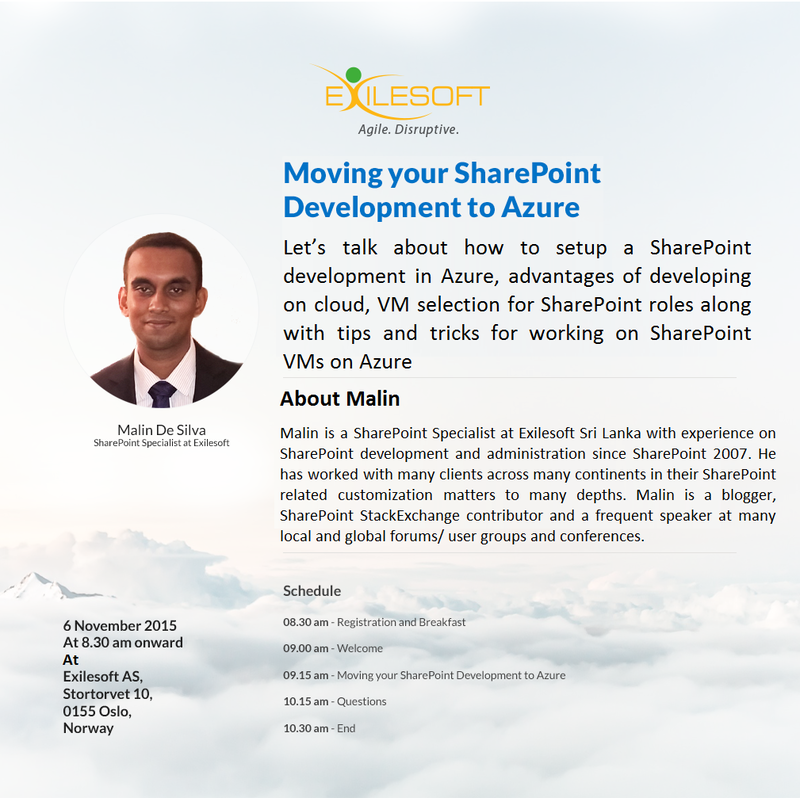 I am writing this about a week after the European SharePoint Conference 2015 while on the way back to Sri Lanka after a tour in Germany. 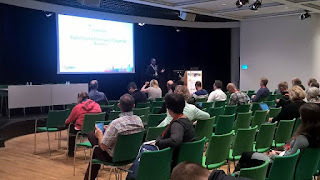 It was a good opportunity to speak at the Europe's largest SharePoint Conference which was held at Stockholm, Sweden this year. I got to deliver the session T9, which was on Exploring the Potentials of Skype for Business. Its no doubt that Skype for Business has made a huge progress over the past few years as a Unified Communication Tool for enterprises. The numbers are ever growing and so does the features and the capabilities. I started with a little introduction to what are the cool features that were not much used or highlighted within the people though they can make your days productive. It included 2 demos including a basic introduction and then a deep dive in to meeting capabilities. Excited to be speaking twice at Oslo this November on the eve of the European SharePoint Conference. 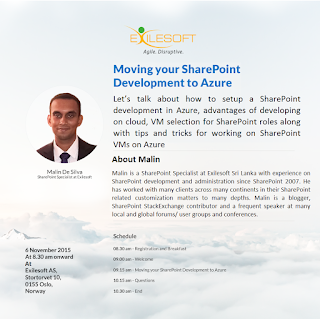 I will be doing 2 sessions on "Success Story of SharePoint Development on Azure". This was initially spoken at the Business 365 Saturday Singapore and this time it will be 2 meetups at Oslo and it will be sponsored by Exilesoft.